Girls Can Spin 2 is an eight-week program in Miami that's teaching girls how to DJ. A Florida law now requires students new to a school district to disclose whether they have received mental health services. The controversial new requirement is one of several school safety measures passed after the February Parkland school shooting. The required disclosure is already raising privacy concerns. And parents say they're unsure about what qualifies as mental health services. Julio Ochoa, editor of Health News Florida, and Alisa LaPolt, executive director of the Florida Chapter of the National Alliance on Mental Illness, joined Sundial to discuss the requirement. What does it mean to be a Latina in South Florida? Cuban-American actress Elena Marcía García plays more than 20 different Latina women in her show, "¡Fuácata! or A Latina's Guide to Surviving the Universe." The production is back in Miami, playing at the Adrienne Arsht Center. It follows different Latinas as they navigate nuanced complications and experiences in their day-to-day lives. García spoke with Sundial host Luis Hernandez about her inspiration for the show and what she hopes to convey. 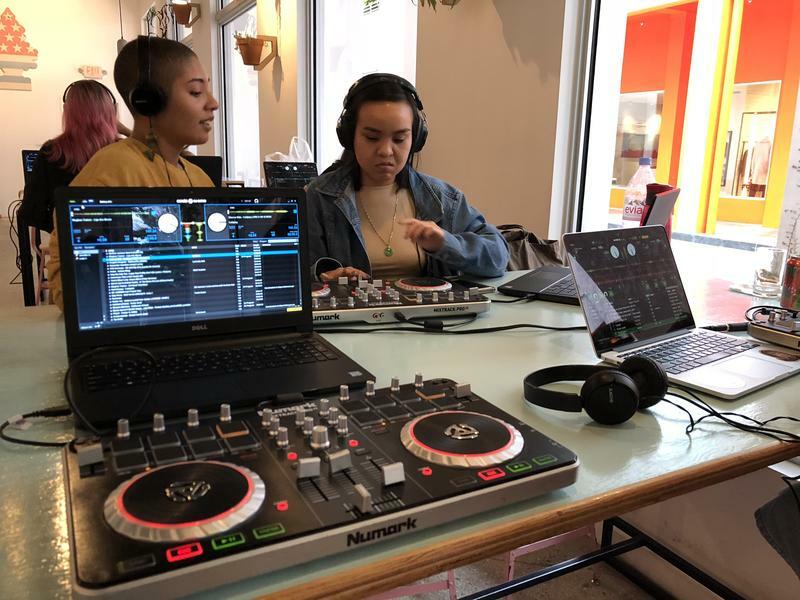 Several women recently gathered at a coffee shop in the Miami Design District to learn the art of DJing. They dropped beats, turned DJ tables and mixed some of their favorite songs together. The 15 women are part of an eight-week DJing class called Girls Can Spin 2. It's a brainchild of (F)empower, a Miami sisterhood collective empowering women of color. The organization brought together the instructors of the DJing program, Christina Hernandez and Pam Jones, two professional DJs who seek greater diversity in a field dominated by men. The course will end this week with a final "graduation" party where participants will showcase their final mixes. Hernandez and Monica Sorelle, one of the students, talked on Sundial about the value of the class and the future of women in electronic music.